The legal status of the Caspian Sea, which has been the subject of a dispute among Russia, Azerbaijan, Kazakhstan, Turkmenistan and Iran since the early 1990s, may be determined at the next meeting of the heads of Central Asian states in Astana, Special Representative of the Russian president for humanitarian and economic cooperation with the Caspian countries Ramazan Abdulatipov said in an interview with TASS news agency. Abdulatipov noted that without this document it is rather difficult to talk about active economic cooperation, so Russian President Vladimir Putin has already agreed upon a variant of the proposals submitted by the Russian government. 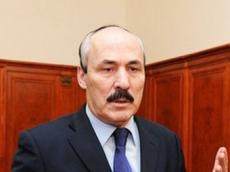 Abdulatipov added that further delays in the issue of determining the status of the Caspian Sea will lead to aggravation of environmental problems. “It won’t an exaggeration to say that the Caspian Sea is already on the verge of catastrophe, and the Tehran Convention for the protection of the Caspian Sea, signed several years ago, isn’t very efficient,” he said.